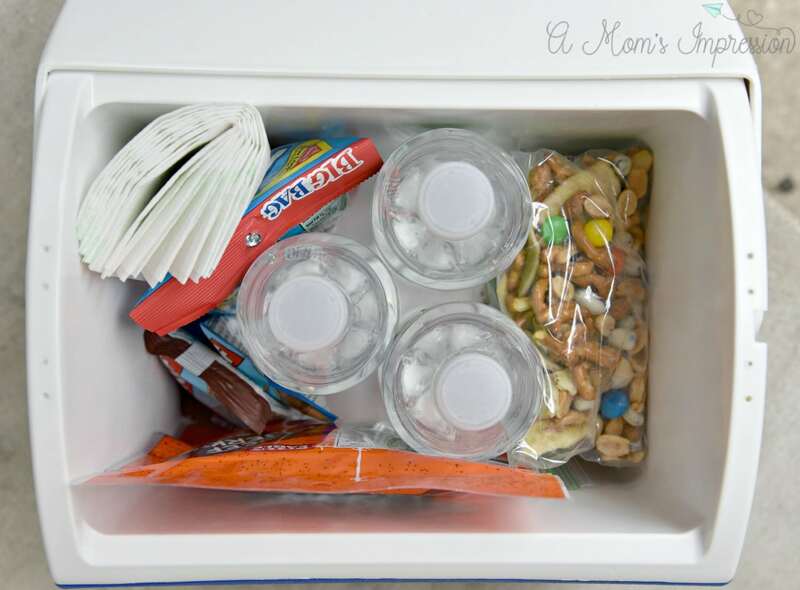 This kids trail mix recipe is perfect to bring along on your next road trip or flight. Packed with sweet and salty ingredients, everyone is going to love it! Sometime last year, I noticed a new gas station being constructed on the route I take home from work. It was called a GetGo and I had never heard of it before. 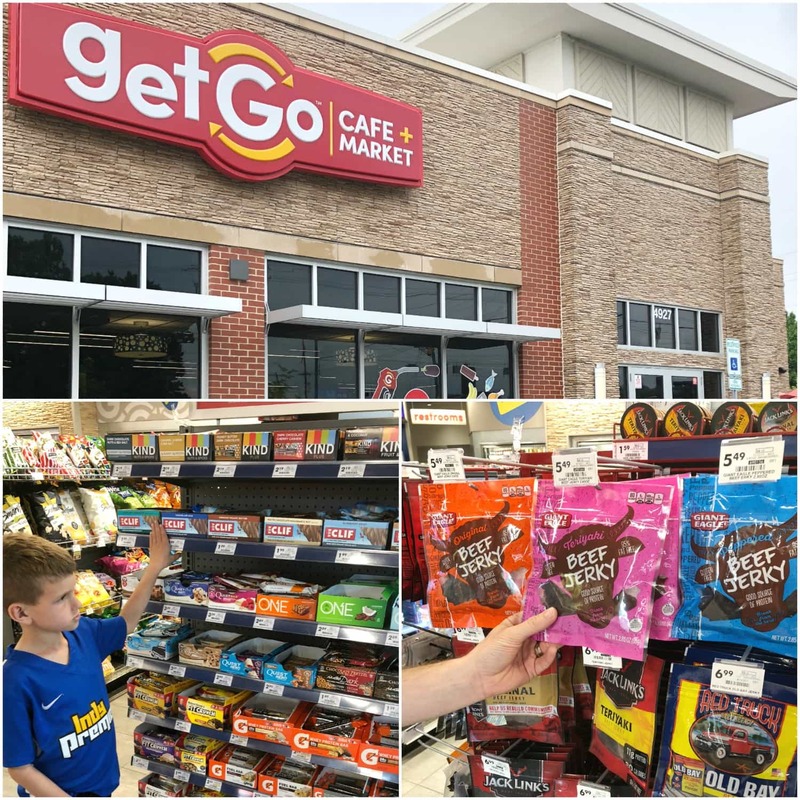 It turns out GetGo is a gas station owned by Giant Eagle brand stores. Giant Eagle is a privately owned retail company that serves many customers in several different states. They are based out of Pittsburgh, PA are are currently growing in other states. It turns out that my state (Indiana) is one of them! Once it was completed, I was very interested to go in and try it out. Being on my way home, I obviously thought this would be a good place to get gas and other necessities without having to go out of my way. It took me a couple weeks to find the time to go into my new, local GetGo, but it didn’t take long for me to start hearing about from friends and coworkers. I seemed like everyone was asking me if I had gone into it yet. They mentioned how clean it was (especially how clean their bathrooms are). I also heard numerous people mention how good the food was there. They have sandwiches and soup that are, to put it simply, on a level above what you would normally expect at a gas station. On one cold winter afternoon, when I hadn’t packed my lunch for work, I went into the GetGo for the first time. I picked out one of the four soups that had to offer and brought it back to my office. It was fresh and hot and just what I needed to keep me warm in the cold weather. As the mother of two young children, I have discovered that the key to a successful car trip lies in being prepared. This means that we need to have lots of snacks for my two kids, who seem to be hungry absolutely all of the time. I call this my “Road Trip Survival Pack”. 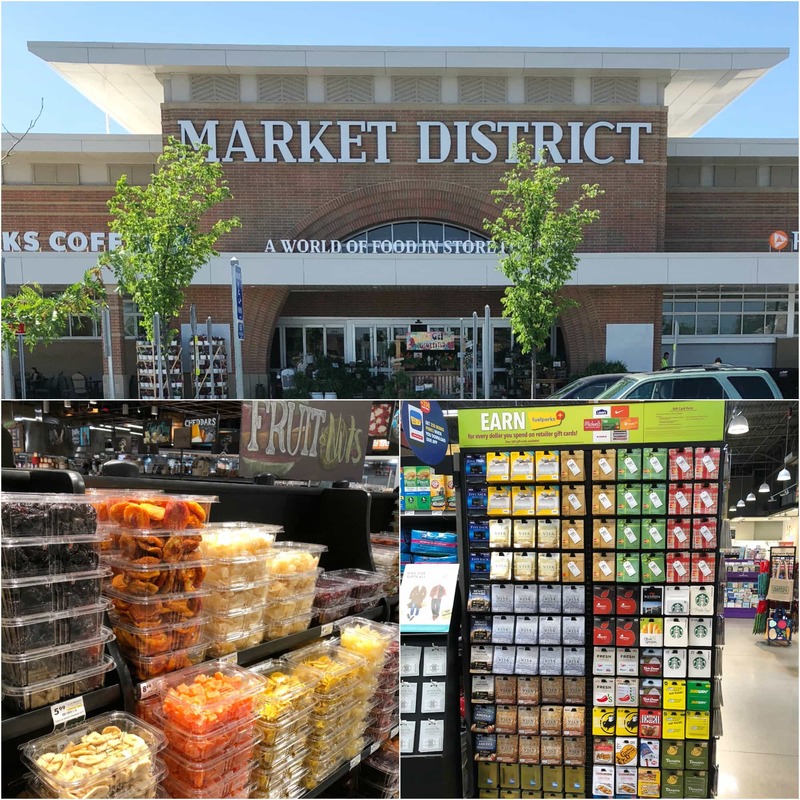 This calls for a shopping trip to GetGo and Market District, where we can get everything that we need for our “Survival Pack”. The first thing that we need are bottles of water. So, we were pleased to see that there was a display of Giant Eagle brand Spring Water right when we walked in. We grabbed a 24-bottle case of water to keep us hydrated on our trip. My husband is a HUGE beef jerky fan, and no road trip is complete without making sure we are stocked up with Giant Eagle’s yummy flavors. They have original, teriyaki and peppered. We selected original and teriyaki. My 9-year-old son is a connoisseur of granola bars. One of his favorite kinds is Clif Bars. He picked out his two favorite flavors, Chocolate Chip and Chocolate Brownie. 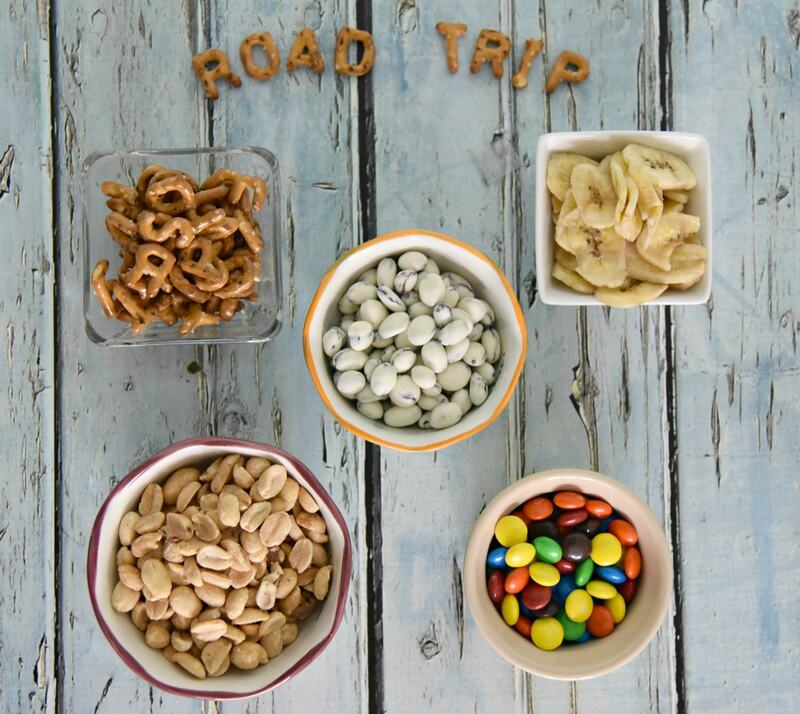 My favorite thing to bring on long car trips is trail mix. But I like to make my own. I was able to grab some banana chips and Giant Eagle brand sandwich baggies on our last trip to Market District. I also picked up all the other ingredients we needed for my trail mix. 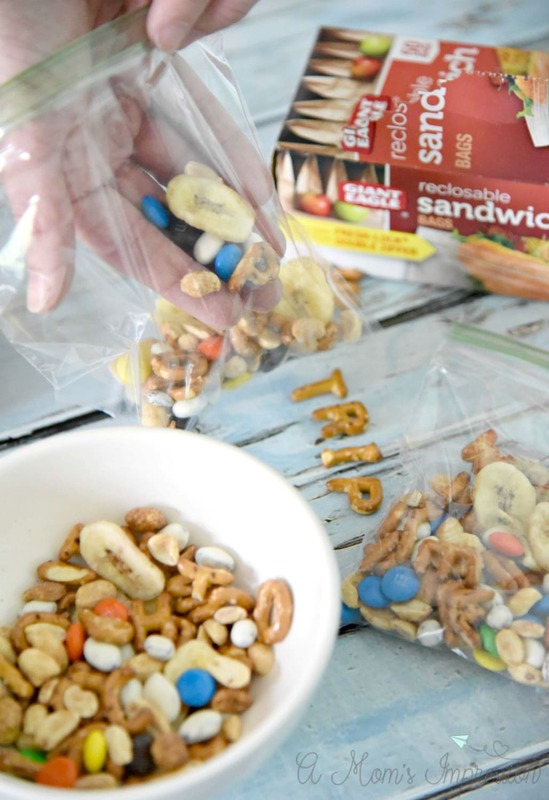 This kids trail mix recipe is super simple and easy to make and the whole family will love it! 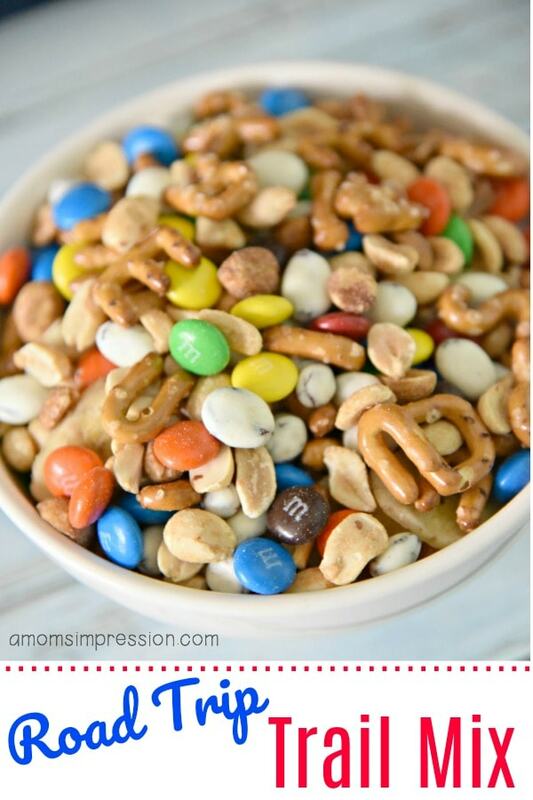 Just mix all of these ingredients together in a large bowl and you have your Road Trip Trail Mix. I like to put them in the ziplock baggies so that I have ready-made snacks that I can grab while on-the-go. 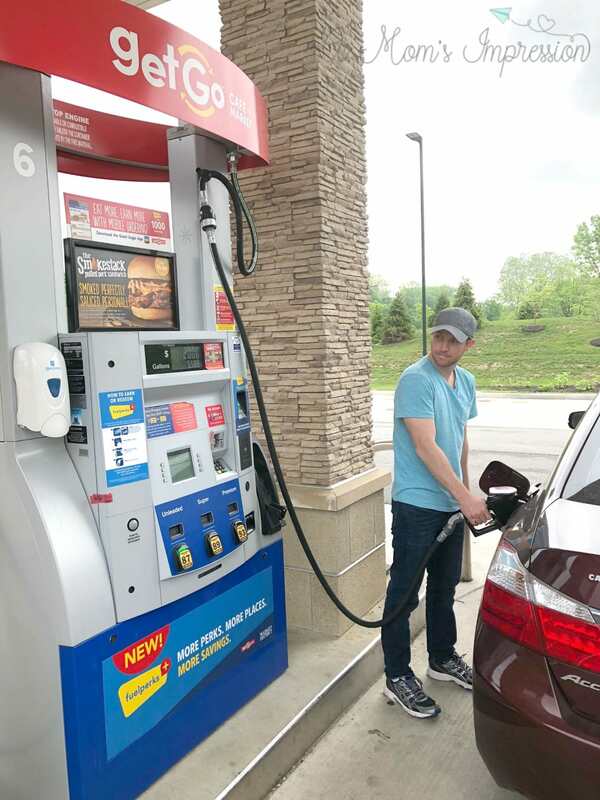 Despite being clean, fresh and stocked full of everything that I need for my road trip, Giant Eagle brand stores also offer fuelperks+. This is a reward program that lets you earn perks by buying absolutely any product that Giant Eagle stores sell. This includes gas, fresh food, gift cards, snacks and groceries. The more perks you earn, the more you can save. You can save up to 30 free gallons of gas or up to 20% off the items in your shopping cart. This is pretty substantial savings. Quite simply, the more you buy, the more you save. Now, you can save and earn in more places than ever both at the store and at the pump. Giant Eagle has a great website that explains all of this. They even have a handy calculator that lets you estimate how many perks (and savings) you can earn by your shopping habits if you shopped at Giant Eagle stores. I would also recommend downloading the app to start your savings. We can’t always afford a lot of the vacations that we would like to take. 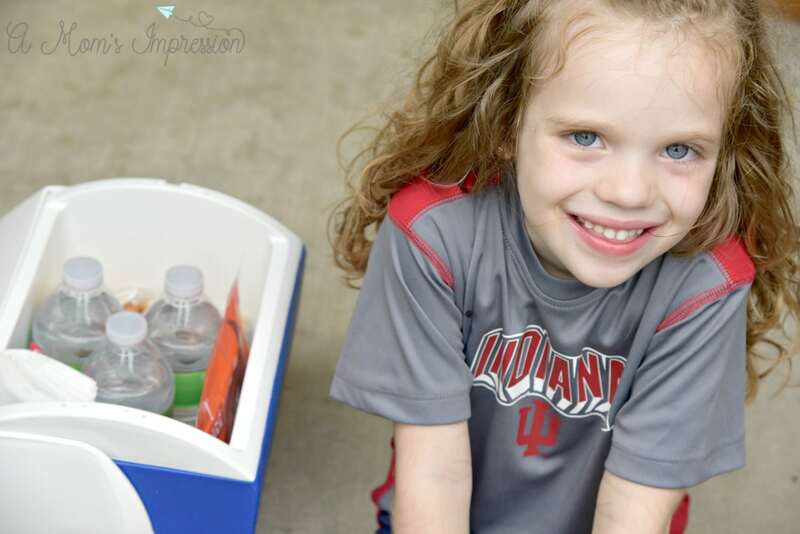 This is why we love Giant Eagle stores so much. 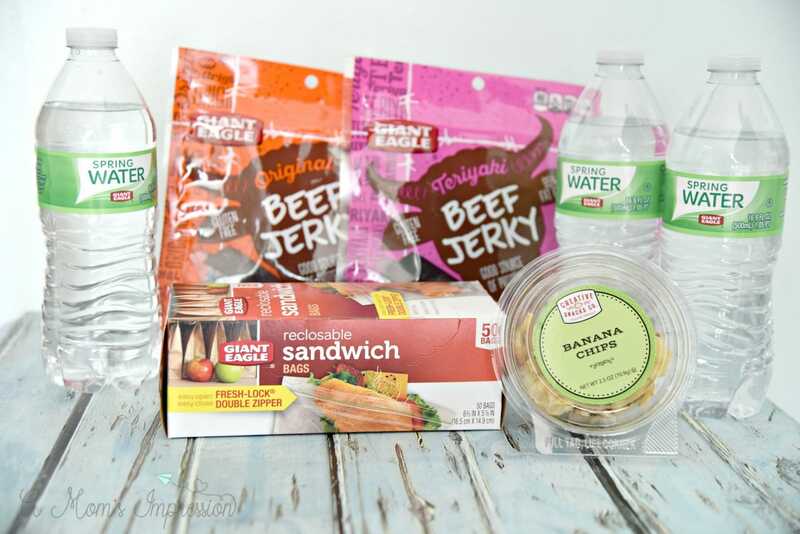 Not only does it provide all of the necessities that we need for our summer road trips, it literally helps us have the money to take the trips in the first place! 30 gallons of gas can you give a great headstart to any destination! Thank you! We have this on almost every road trip we go on! 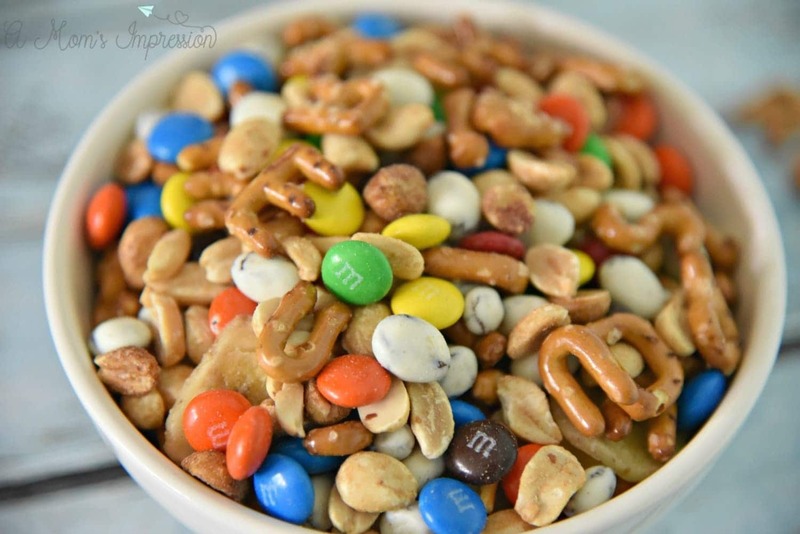 This Trail Mix is not just for kids! 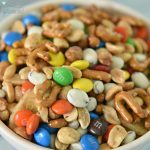 We joined Kat, Joe and kids on one of their fun road trips this summer and I know I devoured more than my share of this trail mix during our 5 day vacation. Thank goodness Kat and the kids made a ton of it. Thanks for the recipe Kat! I need it for our trip up to Michigan next week.